The Big Meet Went Well. What Do I Do Now to Get to the Next Level? Feeling inspired to take your swimming to the next level? 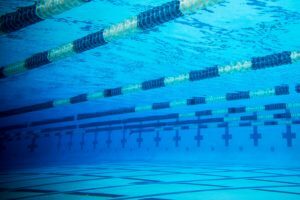 Here are 6 benefits of mental training for competitive swimmers. This week’s set comes from Clarke Dolliver, graphic designer and digital marketing at FINIS, Inc.
Tweet The Big Meet Went Well. What Do I Do Now to Get to the Next Level? Happy with how this season went? But you are ready to take things even further next season? Here’s where to start. 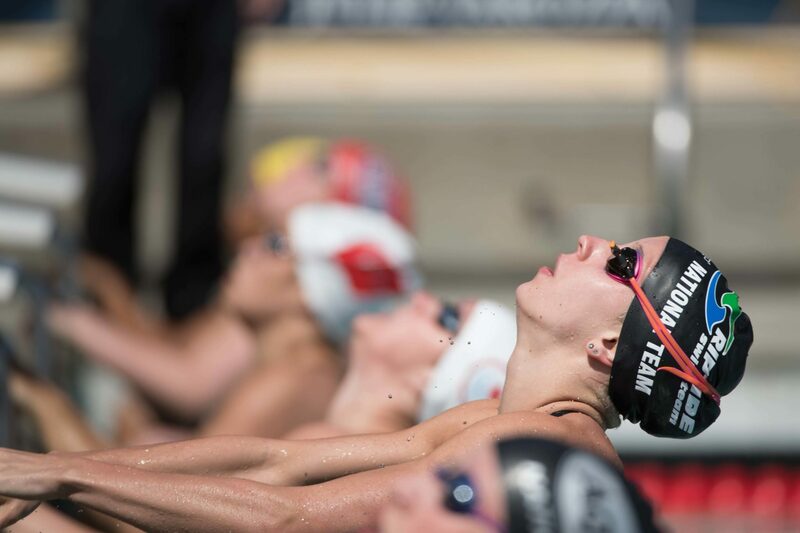 Got asked for advice from a swimmer who was relatively satisfied with how their end-of-season meet went and wanted to get a head start on crushing it next season. My end-of-season meet went well, and I am fairly satisfied with how it went, but next year my goal is to final at NCAA’s. I got a glimpse of what’s possible this year, and I know it’s going to be hard to reach my goal. So the question is…what can I do now to get a head start on next season? This is a great predicament to be in. You are feeling energized by a successful season, and now it’s time to start dreaming and acting bigger. First off, congrats on a successful season, and it’s great that you are already looking ahead to next season. 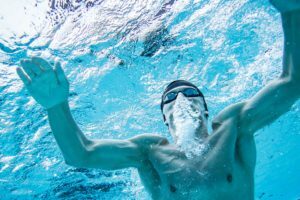 Use the momentum from this year to propel you into even faster swimming. 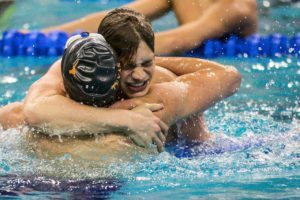 Here’s where I would start on achieving your goal of finaling at NCAA’s. 1. Break down the year that was. Where did you totally crush it this season? What were the biggie areas where you improved? These are important to consider because knowing your strengths gives you an opportunity to further seize and expand on them next year. Start with your strengths and celebrate your successes. You worked for it. 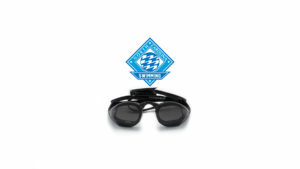 Similarly, what were your weak points in the pool? Keep this list intentionally small (no more than 3 items). What are the handful of things that if you changed would have a gangster impact on your training? These aren’t things to feel down about—if anything you should get worked up thinking about all the improvement you still have available to you once you start tacking these areas of improvement. 2. Build a process for success. It’s fun and easy to get fixated on the outcome (top 8 at NCAA’s). Thinking about the moment where you step up on the block in a packed house, your teammates on their feet, your fingers and toes buzzing and tingling with adrenaline helps keep us motivated over the season. But that white-hot motivation won’t be there for you every single day. There will be lulls and moments where you are tired, you aren’t feeling that motivated, you are stressed out from school, or you are feeling distracted. While motivation can feel fleeting and is dependent on factors other than just “wanting it”, your process isn’t subject to the whims of your motivation. Your process dictates what is to be done today—it doesn’t really care how you are feeling or what kind of excuses you are able to drum up. Having a solid process removes the need to feel perfectly motivated each day. It gives you a plan. So, what’s your process gonna look like? Work backwards from where you want to end up and think about what it’s going to take on the daily to get there. Talk to your coach and get his or her feedback as well. The more input you can have on your process the more complete and confidence-inducing it will become. Does your process mean spending more time working on your dolphin kick? Being more consistent in practice? Write out your ideal day of training. Try to be as specific as possible, giving yourself measurable targets to hit. Vague goals like “train faster” are meaningless. 3. Seek progress with your process. Just continue to do the small things a little bit better continuously over time. If you keep squatting 150 pounds every day, every week, for the rest of the year you will get hilariously good at lifting 150 pounds…but it won’t get you to lifting 250 pounds. Each week tag on a couple pounds to your training. A faster interval. Additional core work. An extra dolphin kick off each wall. Stroke by stroke, set by set, aim for small increments of improvement. We all want the overnight solution, but this is the unglamorous reality of getting supremely fast in the water. The process you put together for yourself is a work in progress. In a few weeks that race pace will get faster. The stair sessions will feel easier. You’ll add a weight belt to the vertical kicking. Evaluate where you are at. Build a process. And slowly escalate it. Olivier Poirier-Leroy is a former national level swimmer. 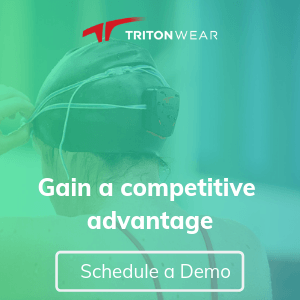 He’s the publisher of YourSwimBook, a ten-month log book for competitive swimmers. 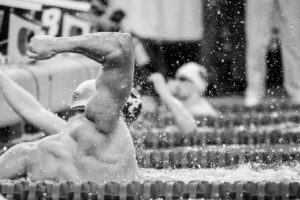 He’s also the author of the recently published mental training workbook for competitive swimmers, Conquer the Pool: The Swimmer’s Ultimate Guide to a High Performance Mindset. 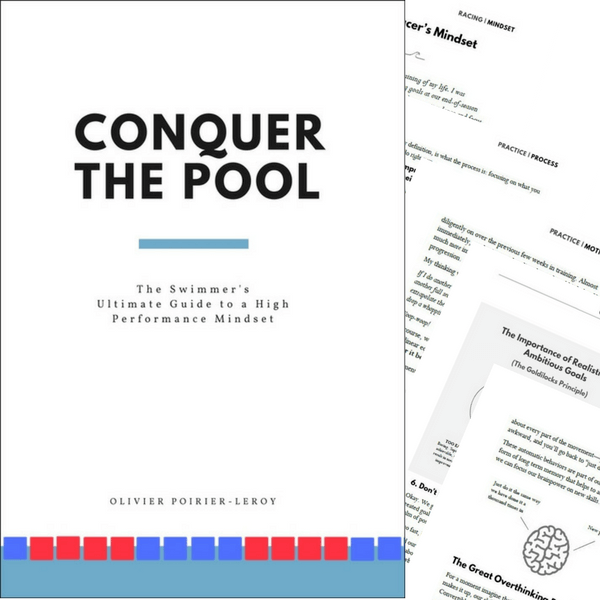 It combines sport psychology research, worksheets, and anecdotes and examples of Olympians past and present to give swimmers everything they need to conquer the mental side of the sport. Ready to take your mindset to the next level? 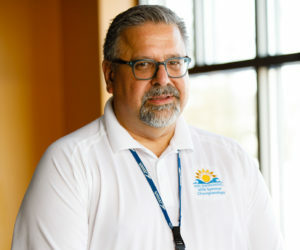 Click here to learn more about Conquer the Pool. COACHES: Yuppers–we do team orders of “Conquer the Pool” which include a team discount as well as complimentary branding (your club logo on the cover of the book) at no additional charge. Want more details? Click here for a free estimate on a team order of CTP.